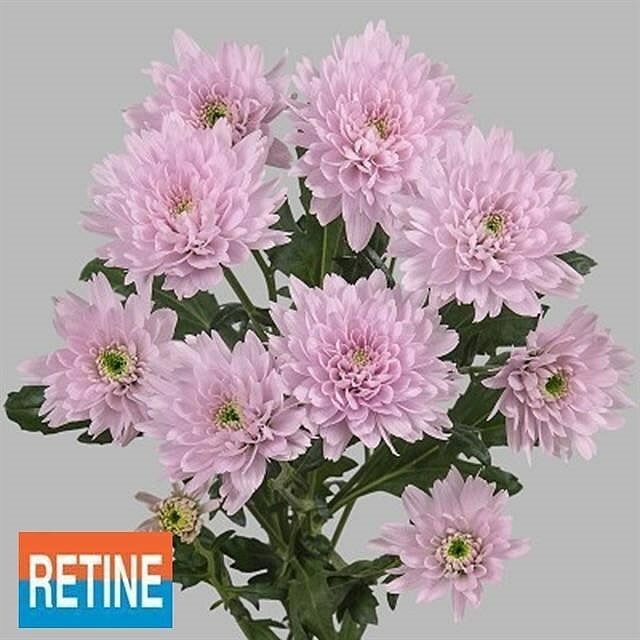 Euro Pink is a double pink variety of spray chrysanthemum typically used to base funeral tributes. Spray chrysanths are multi-headed, approx. 70cm tall & wholesaled in 20 stem wraps.